Owing to the rising popularity of Korean makeup, a lot of people are taking to using different Korean products. Numerous companies across the globe are heavily investing in Korean makeup, while an increasing number of companies are importing Korean makeup and beauty products every day. Korean products showcase intensive research, fine craftsmanship, ingenuity and the hard work invested in them that earn them the reputation of being top quality products. Additionally, these products have set trends that people follow worldwide. In the recent past, Korean Beauty Balms (BB creams) have predominantly emerged as one of the most welcomed trends in the beauty industry. Initially developed by a German dermatologist, these amazing formulations became popular in South Korea and later throughout Asia. By now, you must be wondering, what exactly BB creams are? 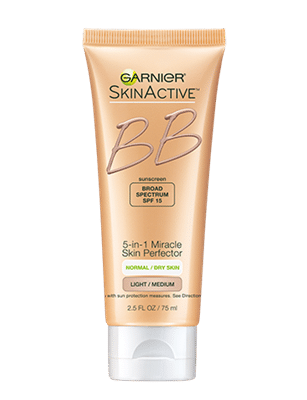 Well, BB creams are lightweight foundations that come with immense skin care benefits such as intense hydration, anti-ageing properties, moisturization, and sun protection. They are highly recommended for daily use as they not only protect your skin but also offer full coverage. What do Korean Beauty Balms Do? A plethora of Korean beauty balms extend great sun protection properties with a wide spectrum of SPF 30 & above. This is primarily because they are rich in titanium and zinc oxides and thus act as a physical sunblock along with water resistant properties. Below is a list of what you get by using these amazing Korean BB creams. Intense Moisturization: Korean Beauty balms contain glycerin and hyaluronic acid which are great moisturizing agents. They help to keep your skin subtle and healthy and prevent skin flaking and desiccation even if it is dehydrated. Anti-Ageing Properties: They include powerful antioxidants and skin peptides such as Vitamin A, C & E which keeps the skin healthy, young and rejuvenated and diminishes all visible signs of aging such as fine lines, wrinkles, and pigmentations. Silicone-Based Ingredients: Korean BB creams are rich in numerous silicone-based ingredients such as dimethicone, arbutin, licorice, mica, and more. Such ingredients come with countless benefits for the skin, making it appear smooth, soft and glowing. For instance, light reflecting mica seeks to even out the skin tone by reducing dark spots and pigmentation. Dimethicone, on the other hand, proffers a luminous skin finish and also acts as a foundation primer. All in all, Korean beauty balms are an ultimate beauty potion offering powerful sun protection, skin soothing and anti-inflammatory properties that help to covet skin imperfections and pimples and at the same time, acts as a makeup primer. They help to balance the pH levels of the skin and control excessive oil production. They keep the active signs of aging at bay making you look much younger and attractive. Today’s women, hard pressed for time, value simplicity and shun away from intimidating makeup. Korean beauty balms offer the much-needed simplicity by eradicating the need of using a plethora of creams as it combines the benefits of all into one. Therefore, a BB cream is a moisturizer, anti-ageing potion, primer and a full coverage foundation, all rolled into one. This amazing cream by Dr. Jart is one of the best-selling products. It works as an effective 5-in-1 formula that treats, protects, hydrates, primes and covers all the skin flaws. It tightens the skin and imparts it a lovely dewy finish. The product is rich in peptides and adenosine, making it an ideal solution for dry skin. by restoring skin firmness and elasticity, it helps fight flaky and uneven skin texture. It also works wonders for people with a sensitive skin as it camouflages the redness triggered by various environmental irritants. Furthermore, it contains SPF 45. This level of protection is generally not expected from a BB cream. So, it will not only make you look great but at the same time provide adequate sun protection. It is most suitable for medium skin tone as it helps in neutralizing tones. Comes in a pump dispenser, making the application very easy and convenient. The product by Missha is best suited for combination skin as it controls excessive oil production around the T-zone and leaves the skin deeply moisturized. It is lightweight offering long-lasting coverage for up to 12 hours. It comes with a roller grinding technology that gives out small fine particles for an easy and precise application. The cream contains Gingko Leaf Water which is rich in antioxidants and soothes the skin. it also includes a high concentration of peptides that facilitate skin regeneration. A 50-botanical complex present in it moisturizes and hydrates the skin. The standout product also contains Multi-Liposome skin lipids which penetrate deep down in order to restore and nourish damaged skin tissues. This cream is the only product that comes in as many as 4 shades. In this way, it can cater to a lot of women having distinct skin tones. It can also treat dark circles due to its diversity of available colors. So whatever is your skin color- this cream has definitely got you covered! This Korean BB cream by Etude House is a lightweight and easily blendable solution that offers instant brightness once applied. It is non-acnegenic and hypoallergenic that makes it ideal for sensitive skin. It contains SPF 30 thus providing an optimal degree of sun protection. Once applied, it leaves behind a powdery finish, making it a good choice for oily skin as well. It has a very light flowery scent that is not much noticeable. Offering a light to medium coverage, the cream perfectly conceals all dark circles and acne scars. The product is easy to build as it has a rich creamy texture. It does not melt off, oxidize or looks cakey. It is available in a range of 3 different shades. It offers total value for money, keeping in mind its considerable price tag and the huge bottle container. 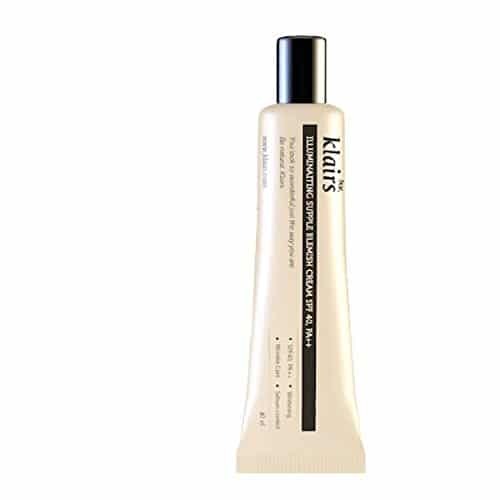 This product by Klairs is best suited for people facing acne as it controls the production of excessive oil. This lightweight solution offers a long lasting coverage and is easy to build up. It doesn’t leave any gray marks, is great at minimizing skin pores and diminishes redness. It contains Aloe Vera extracts that provide intense moisturization, eliminating all dry skin patches. It comes with SP 40, assuring you complete sun protection. However, it only comes in a single color tone and so people with a dark skin tone may not find this product ideal for them. 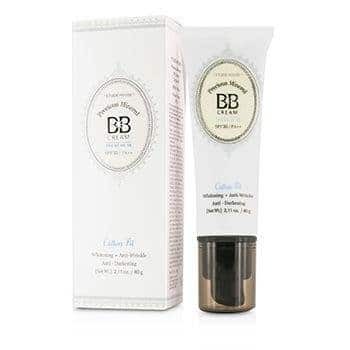 It is free from all artificial irritants, making this BB cream a great option for sensitive skin. But it contains fragrances, so it will be good if you perform a little patch test before using it. The BB cream by Lioele is a very lightweight solution providing good natural skin coverage. It is so light and comfortable; you’ll simply forget that you have it on. It is the perfect moisturizing solution for days when you want to go makeup-less. It contains hyaluronic acid that will control excessive oil and gives deep skin hydration. It minimizes enlarges skin pores. With a creamy consistency, this Korean beauty balm is very easily buildable offering you the coverage you want. It has a lovely scent which immediately dissipates after its application. The product does not contain SPF which is quite a disappointment, considering the fact that it is a BB cream. This noteworthy product seeks to rid people of wrinkles, fine lines, dehydration and skin dullness. It very well conceals all your skin flaws giving you a perfect and even skin tone in seconds. It is rich in essential hydration agents that extend long lasting skin nourishment. Since it works instantly, it is extremely popular among users, hard pressed for time. A blend of some other conventional ingredients such as fruit oil, linalool, rosa canina, etc. makes it an ideal skin-rejuvenating solution. How to Select the Best Korean Beauty Balm Cream? SPF protects the skin from the harmful rays of the sun. Mostly, all Koreans are extremely particular about their skin and therefore, all these creams contain adequate SPF to preserve the healthy glow of their skin. It is imperative to select a Korean BB cream that offers sufficient coverage and at the same time, does not exaggerate your natural complexion and appearance. These creams come in light, medium and dark formulations promising advance coverage. The color of the Korean beauty balm you select should go with your complexion without making you look like a white ghost. You can also consult a dermatologist if you cannot decide the color by yourself. Those with a lighter skin complexion are lucky as most Korean creams will suit their needs. A lot of Korean BB creams come with an easy bottle dispenser. This type of packing is of course preferred as they ensure you to get the precise amount of cream. Bottomline, Korean beauty balms offer a plethora of benefits for the skin. Apart from offering natural coverage, they work hard to protect our skin, making it supple and salubrious. Out of the list of top 6, Beyond the Solution BB Cream by Lioele is my personal favorite. Suitable for all skin types, this amazing product seeks to maintain gorgeous skin while keeping oil at bay. Since it offers long lasting coverage, the need for a frequent touch up is ruled out. It gives a natural sheen, making your skin look absolutely flawless.